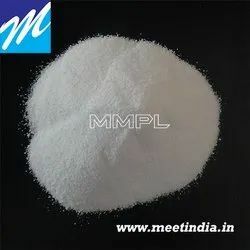 India’s leading Distributor-Wholesaler, Exporter, Supplier, Importer, Manufacturer and Trader for raw material for CPE 135A and many specialty grade. Description:-CPE impact modifiers contain around 35% of chlorine and are thermoplastic in nature. With a similar melting point to PVC, they initially form a network structure which changes to a particulate structure on processing. They also have good processability and excellent weathering performance. The incorporation of relatively small amounts has been shown to improve the strength and toughness of PVC. Application:-CPE is use in PVC pipes -fitting, Electric wire and cable, CPVC pipe-fitting, uPVC pipes-fittings, PVC furniture, PVC door-window,PVC rigid sheet, PVC celuka foam board/sheet, PVC WPC sheet, PVC WPC profiles/chokhat, PVC free foam sheet, PVC rigid profiles, Rubber, automotive products and other many application. Looking for Chlorinated Polyethylene-CPE ?